Elan's boatbuilding tradition began in 1949 with kayak's canoes and small boat production made of waterproof wooden slabs. Elan is the global producer and supplier of sports and leisure time activities with origins in Slovenia. 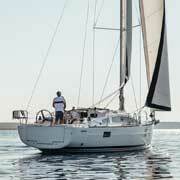 The Elan and Impression brands embody a true passion for sailing, technological innovations and distinctive design. 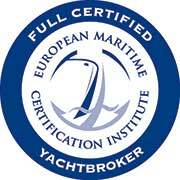 Every yacht coming from Elan's 16,000 square meter boatyard in Slovenia is the result of our 65 year long passion for innovation oriented quality boatbuilding. 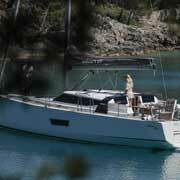 Elan introduced new features on the E Line yachts in 2018, creating the most enhanced standard package for its class. 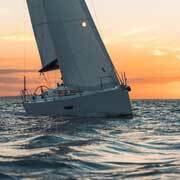 All models now include a carbon fibre retractable bowsprit, tapered keel stepped masts, a genoa furling system and adjustable split backstays for all your performance sailing needs. 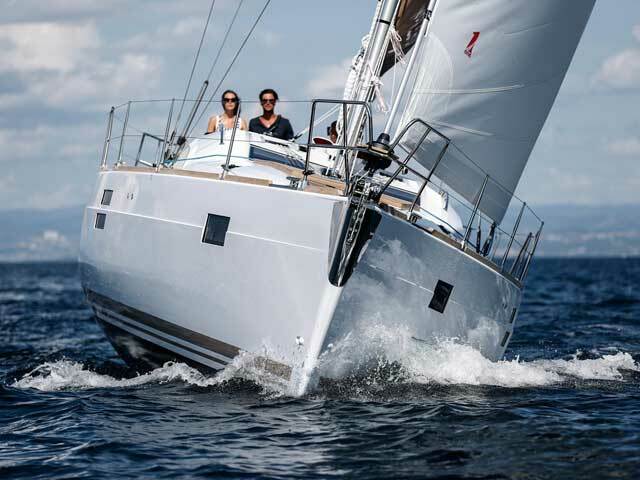 Larger steering pedestals with grab rails are now also part of the standard offer, along with a fully-equipped galley and head, a hot water system, curtains and blinds over windows and hatches, and natural oak veneer on the interior furniture. The DAME-design-awarded control panel is now installed on all E Line yachts, as is a modern electrical system with plenty of USB ports and aesthetic ambient and courtesy lighting solutions. 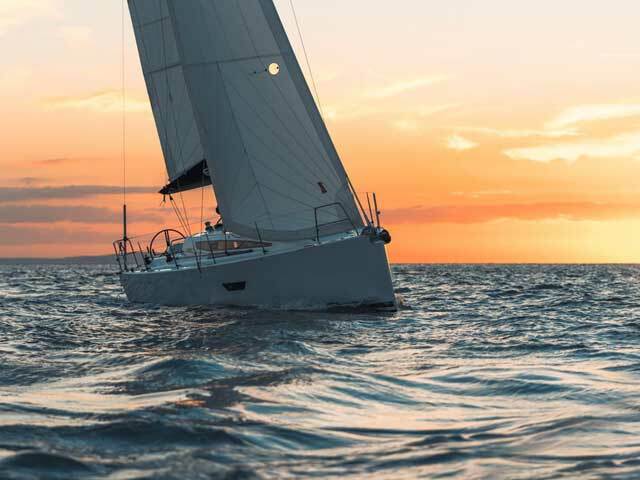 But this is just the start – contact an Elan Yachts representative in your area and discover why the E Line is a perfect yacht for an experienced sailor, who does not want to compromise on comfort. 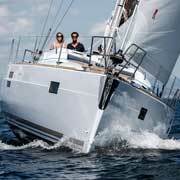 The E3 was developed with both racing performance and cruising comfort in mind. The unique combination of T-bulb keel, twin-rudder steering and twin wheels - all rare features on a design of this size, really put the E3 in the spotlight. Please click the Query button for the price and more detailed information. 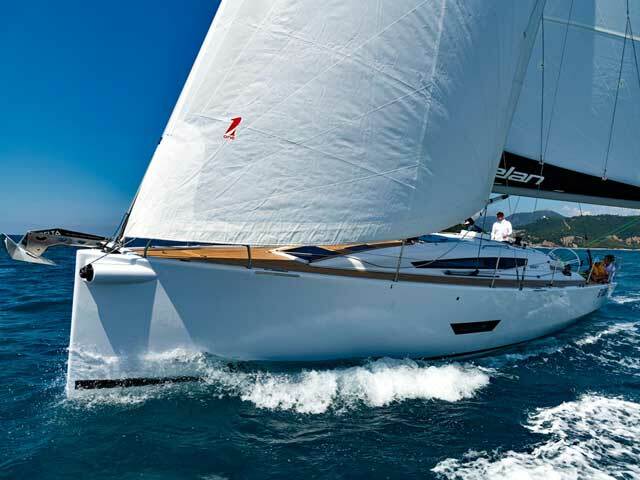 Designed to epitomize the saying " The joy of fast sailing, the pleasure of Comfortable cruising", and making this an exciting performance pedigree paired with plentiful comfort. 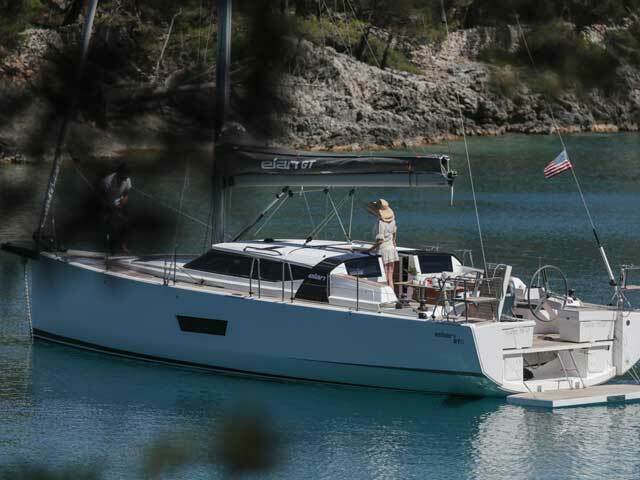 The Elan E5 as been designed for demanding sailors who seek a perfect balance between serious, regatta-winning performance and elegant, yet dynamic lines with abundant space and comfort. The Launch of the NEW GT5 is based on the award winning Elan E5. 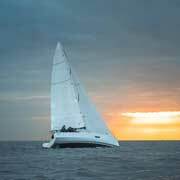 This yacht is bringing the true meaning of Gran Turismo to the yachting world, a Performance Grand Touring Yacht. 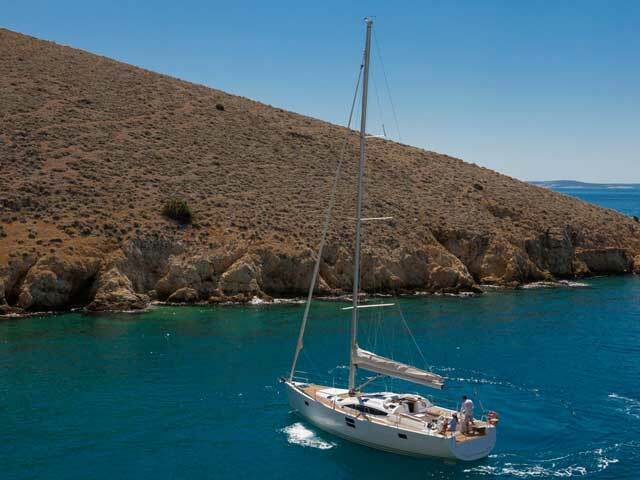 Everything aboard the Impression 40 is well-thought out to ensure a pleasurable experience, whether under sail cruising or when reveling in picturesque secluded bays at anchor. Every detail on the Impression I40 ensures an enjoyable and safe journey, from the spacious open cockpit with its large seating area all around the cockpit table, to the wide passage way forward where plenty of space for sunbathing awaits. 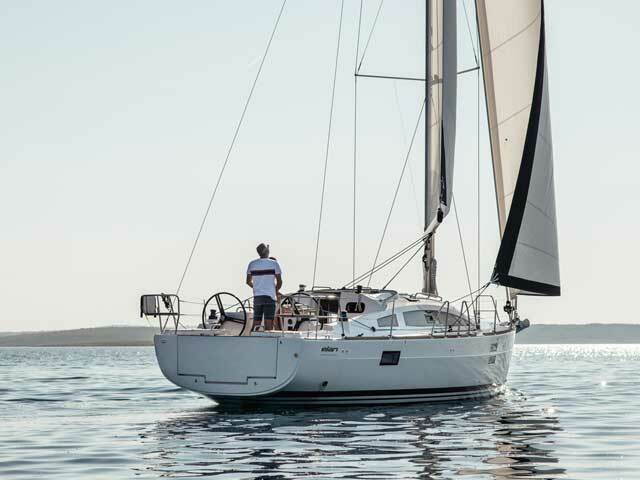 The Impression 50 delivers a consistently pleasurable sailing experience, which means fast cruising and easy handling even when “short-handed”. Impression Yachts combine hull design with optimal rig and sail area to ensure a safe and stable yacht in every sea condition. 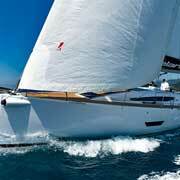 The twin wheel/twin rudder system ensures better control and handling even in the most extreme conditions.